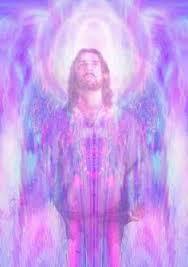 Archangel Zadkiel and Holy Lady Amethyst are Twin Flames who work together on the Violet Ray out of the Temple of Purity above Cuba. Both AA Zadkiel and Lady Amethyst are tall, black-haired and have blue eyes. Zadkiel has a darkly tanned complexion, while Lady Amethyst has the creamy complexion of her Ashtarian heritage. She is the Sister of Lord Ashtar. WE ARE Archangels Zadkiel and Lady Amethyst, and we greet you with Love. Today we wish to discuss opening to new possibilities. You are continuing to receive new, incoming waves of higher dimensional energy. They are coming to you throughout your daily life and calling to you to embrace the openings they provide. Psychic Sounds by B: B Weeklies ~ Week of April 22nd thru 29th 2019 ~ WAKE UP CALL! With This ONE Tweet Trump Just Slammed Down The HAMMER!